A hospitality industry leader, educator and best-selling author, Ed Fuller is President of Irvine, California-based Laguna Strategic Advisors, a global consortium that provides opportunities and services to independent providers of business consulting services. Culminating with his service as Marriott International’s President & Managing Director of International Lodging for nearly 22 years, Mr. Fuller’s distinguished, performance-driven corporate career spanned four decades. His experience included chief sales and marketing officer, global leadership as President of Marriott International, Inc., as executive in charge of crisis management, future business assessment, top-level customer relationship management, sales and marketing leadership and long-term strategy development that applied corporate philosophies, delivered on brand promise and enabled ethical decisions. His results included the creation of 80,000 new jobs worldwide, the formation and operation of 555 hotels in 73 countries, $8 billion in annual sales, and the implementation of multiple environmental, philanthropic and educational initiatives. Mr. Fuller’s colorful and real-world experiences are recounted in his top 20 best-selling business book, “You Can’t Lead with Your Feet on the Desk,” published globally in English, Chinese and Japanese by John Wiley & Co. in 2011. At the University of California Irvine, he is a Trustee of the University’s Foundation and former Chairman of the Advisory Board of the Merage School of Business. He is also a member of the Chancellor’s CEO Roundtable. Since 2013, he has been an adjunct professor of Globalization in the University’s business school’s master’s program. At California State University, he serves as a member of the Chancellor’s Hospitality Management Education Board and a director of the University’s San Marcos Foundation. Since 2012, he has been an adjunct professor of Leadership at the University’s College of Hospitality in Pomona and San Diego State University. He is a former Trustee of The Prince of Wales International Business Leaders Forum; chaired the Governing Board of the International Tourism Partnership for 10 years, currently serves on the Safe Kids Worldwide Board, serves on the Althea Foundation Board, and he was formerly a Board member of the Pacific Area Travel Association Foundation and of United Way International. 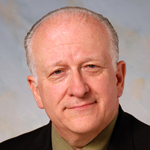 Ed Fuller is the President and Chief Executive Officer of the Orange County (California) Visitors’ Association. Since 2008, he has been a Commissioner for Travel & Tourism for the State of California and in 2013 joined the staff of Visit California. He became an Emeritus member of the Travel Industry Management School Advisory Board at the University of Hawaii. He also serves as Chairman and Trustee of the Sigma Alpha Epsilon Foundation. He serves as a Board Member of The Mind Research Institute in Irvine, CA. He is also a Member of the Advisory Board of the Merage Investment Group, a board member of Concord Hotels, a Director of the Federal Bureau of Investigators National Academy Associates Foundation (FBINAA), and a member of the California DMO CEO Council. His professional contributions have been lauded globally, including being presented with the University of Nevada Las Vegas 2013 Hospitality Industry Leader of the Year Award. In 2008 he was recognized and presented with the China Hotel Investment Summit Lifetime Achievement Award. In 2010, he was bestowed the Hotel Investment Forum India Aatithya Award; and in 2012, he was presented the International Hotel Investment Forum’s Lifetime Achievement Award in Berlin. Read about Laguna Strategic Advisors’ other founding member, Buck Laird.